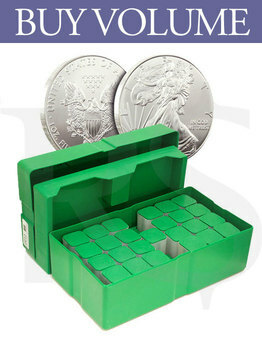 The Silver Eagle Monster Box contains 500 pcs of 1 oz coins. The coins are divided into rolls of twenty coins stacked in plastic tubes. 25 of these tubes make up the monster box. Demand for the silver Eagle is always high, and a sealed monster box of Silver Eagle coins is an ideal medium to long-term investment in wealth protection. 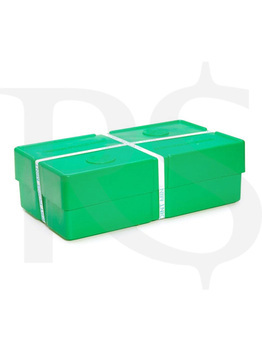 The US Mint's monster boxes are green in color with a removable lid. 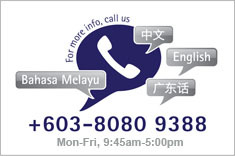 They are built entirely of hard plastic that protects the contents during shipment. As can be seen in the image of an empty monster box on the right, the tubes are not arranged in an equal number of rows. The depression in the central part of the box holds one roll. The remaining 24 rolls are placed to the left and the right of the center piece, twelve on each side. The U.S. Mint's Monster box's dimensions are 375mm x 215mm x 120mm, and it weighs 18.328 kg. Should you open a Silver Eagle Monster Box? Because a Silver Eagle Monster Box comes sealed, buyers often ask, "Should I open it?" Maybe yes, maybe no. If you do not open it, how will you know that really received Silver Eagles? We know of no one ever having opened a Green Monster Box and finding any thing other than Silver Eagles. Many Green Monster Box buyers, after having opened their first and/or second purchase, quit opening them subsequently.